. 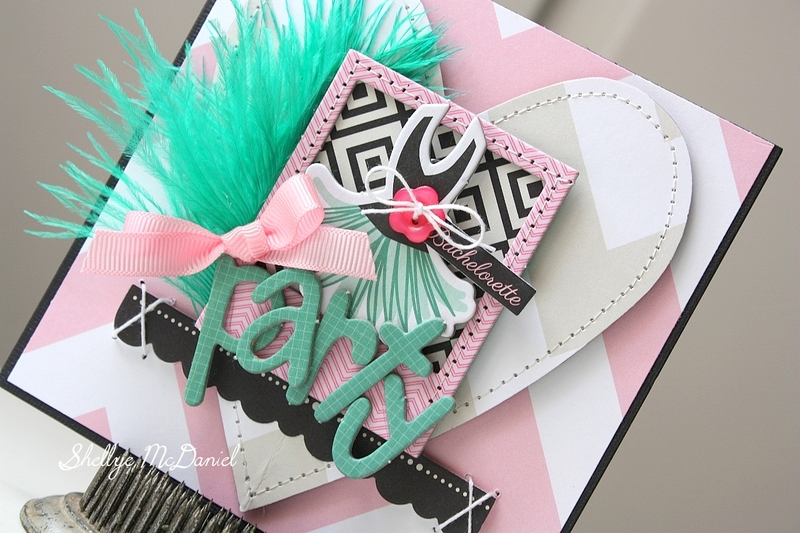 I love how the base paper chevron mimics the chevron pattern of the heart! To the heart, I added the fun chipboard frame and party dress. I used the Gulf Feathers and attached them to one side of the frame. I found that Fabri-Tac glue worked really well when attaching the feathers to the paper. After adding a little bow and button, I think the invitation is all set! I am loving all of the Bella Blvd projects you have created with the new collections!